FIXYOURTHINKING.COM / Need a brain? Borrow mine! : Be Safe! For all those that are heading out to California for MacWorld Expo and The Consumer Electronics Show ... be safe. There is a severe homeless problem in San Francisco ... in fact ... it may be the worst in the world. There is a very interesting mix of the truly homeless and the cons that pretend to be homeless that make a living from pan handling. Make sure you visit Sony Metreon (attached to the Moscone Center) ... it may be the best thing you do in San Francisco. iLounge will issue a very public set of lawsuits to content theives ... my estimation is that Bill Palmer Inc is one of the targets of these suits. Look for a drama surrounding Alsoft and Diskwarrior ... I've heard a few things through the grapevine that brewing, but can't comment any further. Did you ever find out who iLounge sued? 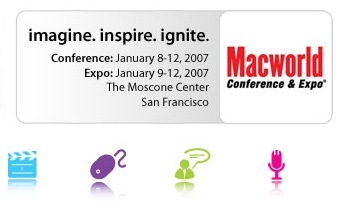 Not only did they not do this the way their website said they would, but apparently everyone agreed before MacWorld Expo to comply ... so they didn't embarass anyone ... part of the agreement was that you wouldn't be embarassed at MacWorld. I have contacted iLounge with no response as of yet.